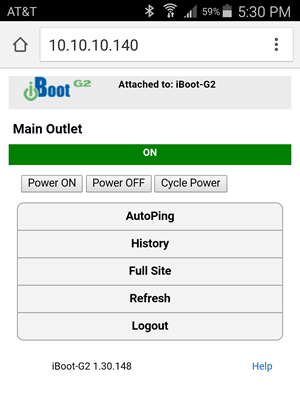 Model iBoot-WiFi allow you to put remote reboot wherever you need it. 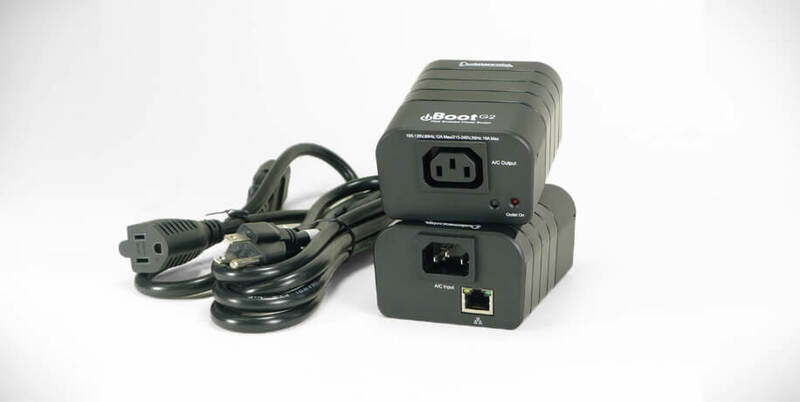 No need to add an Ethernet port or cable run to get this web power switch up and running fast. Don’t get in the car just to push that big red button. 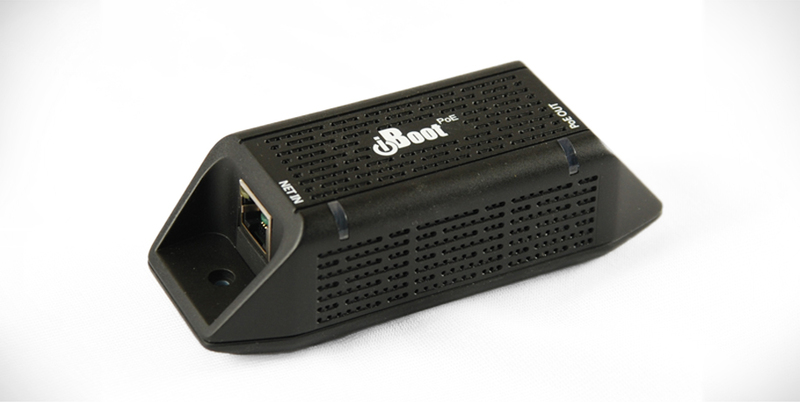 iBoot can automatically restart crashed systems or put the power of remote reboot in your hands, wherever you are. Clean web page design makes it easy to see the status and control power to any outlet. History log shows the last 5 events. 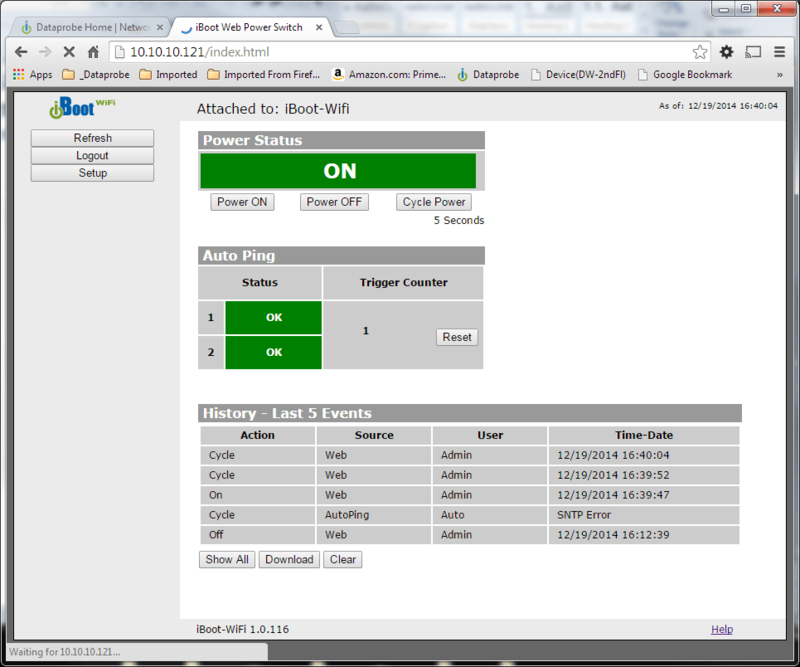 If AutoPing or Heartbeat are enables, their status is displayed as well. 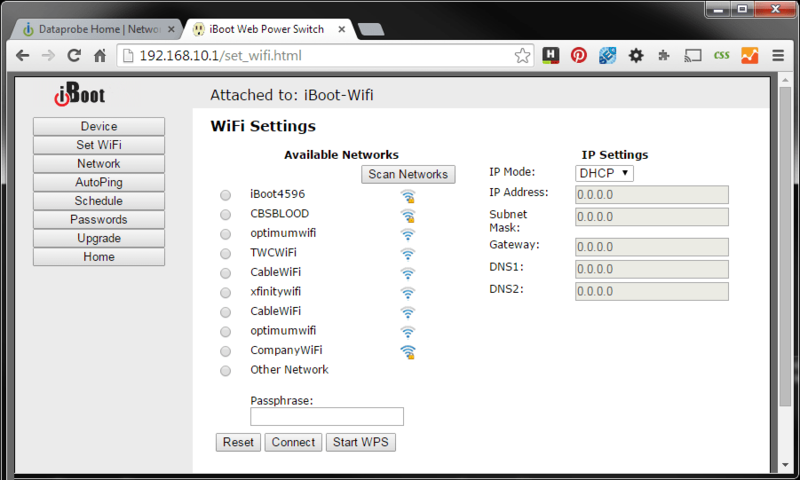 Selecting your wireless network is easy. 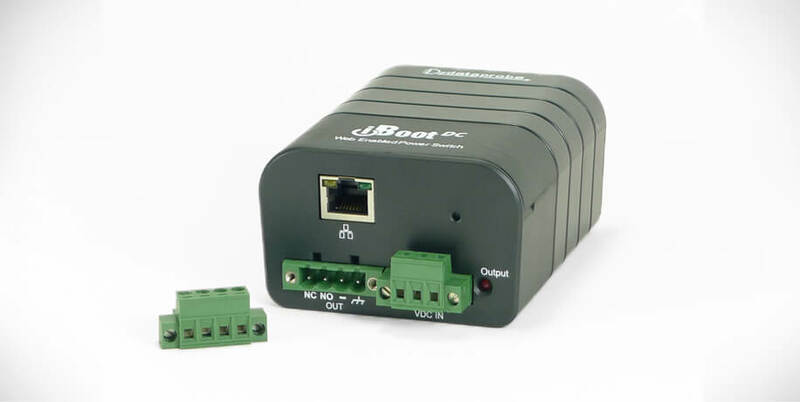 Use the built-in Micro Access Point or WPS capabilities to quickly get up an running. 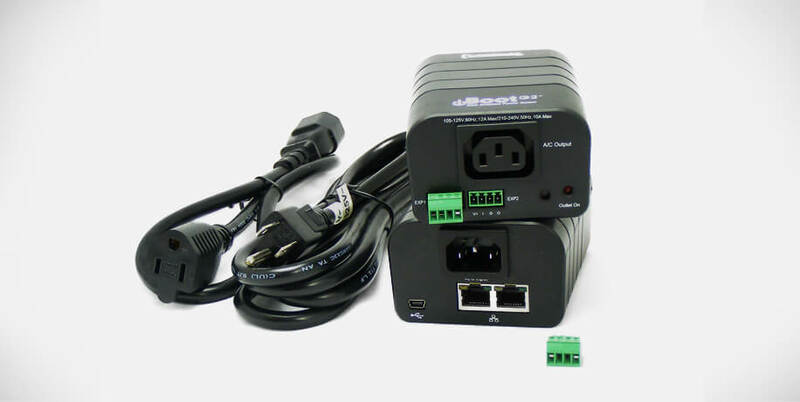 Take power control with you wherever you travel. 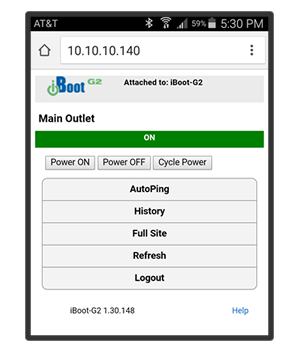 iBoot Automatically detects mobile browsers and provides reduced clutter for easy one thumb access. Easy setup with supported routers. Protocol, API and Sample Software and Scripts provided. Current for most Servers, Routers, Kiosks, etc. 1) Click on the checkbox for MAIN power outlet. The iBoot-G2+ and iBoot-G2S have auxilliary ports that can be used for expansion units or general purpose IO. 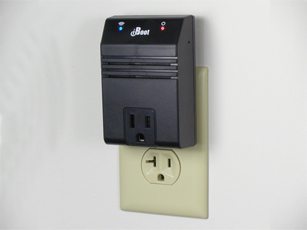 2) Click on one of the three power buttons to control the outlet. Cycle will change the power for a pre-set time, On-Off-On for Reboot. Explore the Setup section to see what else you can do.